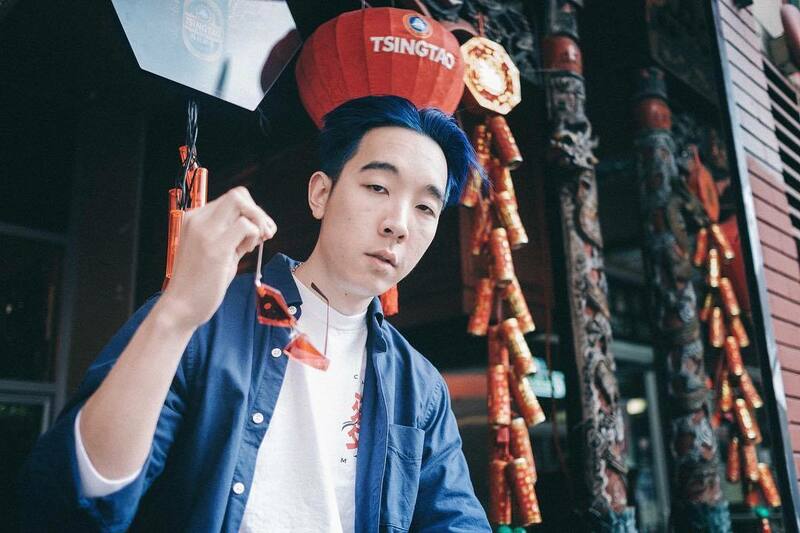 Bay Area rapper and producer Chow Mane likes to imbue his music with a sense of the foodie inside - hence his forthcoming album Simmering is something of a menu of flavours. We spoke to the Bay Area native about his music. Each song in Simmering is like a different dish, which can touch on one or a combination of different flavours (sounds). I think it was two things that got me into music. First, my dad and uncle’s CD collection of Motown, soul, 80s pop, and g-funk. Second, piano lessons at the YMCA which I started when I was around five. I grew up trying to make my own piano pieces for school talent shows, and eventually transitioned over to producing my own music on FL Studio. When I was about 12 or 13 I started writing my own verses, at the time influenced heavily by Lil Wayne, Fabolous, and other punchline heavy rappers. Since then I’ve been refining and developing my sound. For Simmering, I drew inspiration more from personal experiences than specific artists. I think each song has a slightly different sound, so the project as a whole is an amalgamation of distinct styles. More than anything I think the biggest influences are from Bay Area music - we got cool, bouncy hits; melodic, springtime jams; some experimentation in production influenced by psychedelic rock bands (a lot of subtle touches on ‘Summer’s Over’). The most important thing I try to do when I write is create a type of audio imagery, through a combination of the lyrics, the production, and the textures in the song. I think some of this comes from artists like OutKast and Mac Miller, but some comes from reading poems and media outside of hip-hop. And this imagery can range - sometimes it’s more about the melodies and overall vibe of the song, but sometimes I’m trying to get on my lyrical exercise tip with funny and excessive wordplay. I’m really tryna get on a track with Kero Kero Bonito. Time ‘n’ Place was amazing and I’d love to work on something like that. Your debut EP was Mooncakes. What kind of reception did it get? Mooncakes was an EP themed around my experience as an Asian American, with songs about my heritage, food, culture, etc. I think though, since this was my first and only body of work out at the time, people thought that this was all I was capable of. The project I think was well received in the Asian American community - certainly got me booked a lot for Asian American conferences or festivals across the country - but people outside of the community may have found it harder to relate to. Tell us about your first independent album Simmering. What’s it about, what are its themes? Simmering is structured like a three-course meal. People who follow me on Instagram would probably know that I spend quite a lot of time cooking and experimenting with new dishes. With the same spirit in mind, each song in Simmering is like a different dish, which can touch on one or a combination of different flavours (sounds). So I’ll have a salty/spicy hard rap song (‘Simmering (Intro)’) transition into a bouncy, umami flavor (‘Tasty!’) into a more melodic, sweet, explosive track (‘Been A Minute’) and so on throughout the album. By the time you reach the last three tracks, you’ll feel like you’ve have your palette cleansed with more laid back, expressive songs. Some of the songs on here were written a few years ago, but most of the project was written and recorded Fall of 2018. Most of the recording was done at studios in Emeryville and Fremont, CA. How does ‘Simmering’ build on your style? I think ‘SIMMERING’ gave me a chance to work on the music I wanted to create without worrying about fitting a cohesive theme or sound. Since SIMMERING’s theme allows for more variety and experimentation, I felt more artistic freedom in being able to produce and write about anything. What are your hopes for ‘Simmering’? First of all, I want people to have a delicious time listening to and consuming the project - there are songs are almost any occasion on there. Next, I want to showcase versatility and make songs that are accessible to a wider audience. I think people who have been fans since ‘Mooncakes’ can definitely recognize the growth, and new fans can find something refreshing in my music. I’m already working on the next project. For Simmering, I’m planning on releasing maybe six music videos, a new merch line, and planning a tour for later this year. I’m also trying to build up a lot more infrastructure, and put my whole Forever New Nation team on. My labelmates Sahih Rankz and LURID are both putting out projects this year as well, and labelmate Jordan Garrett is launching a lot of singles. It’s hard if not impossible to do everything on your own! My career really changed when I joined Forever New Nation and started expanding my network and contacts. One thing I’m glad I did when I was younger was consistently create and experiment with new styles in different (unreleased) songs. Though most of these never saw the light of day, they taught me about my own preferences and sounds that influenced a lot of stuff I worked on later. Listen to Chow Mane on SoundCloud below. For news and tour dates go to chowmane.com.